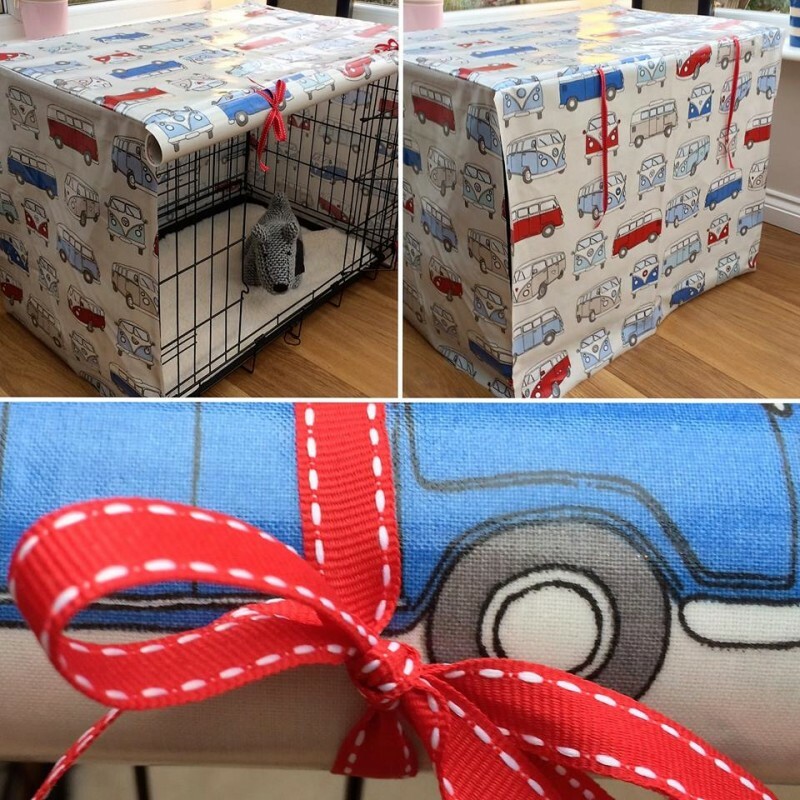 Making Your Dogs Crate look Great! 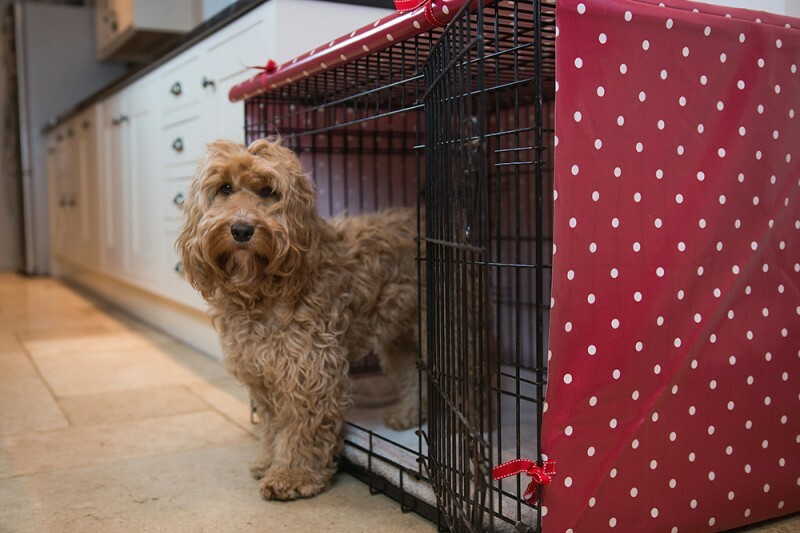 Dog crates are brilliant for providing a safe place for your dog - they just don't look great. 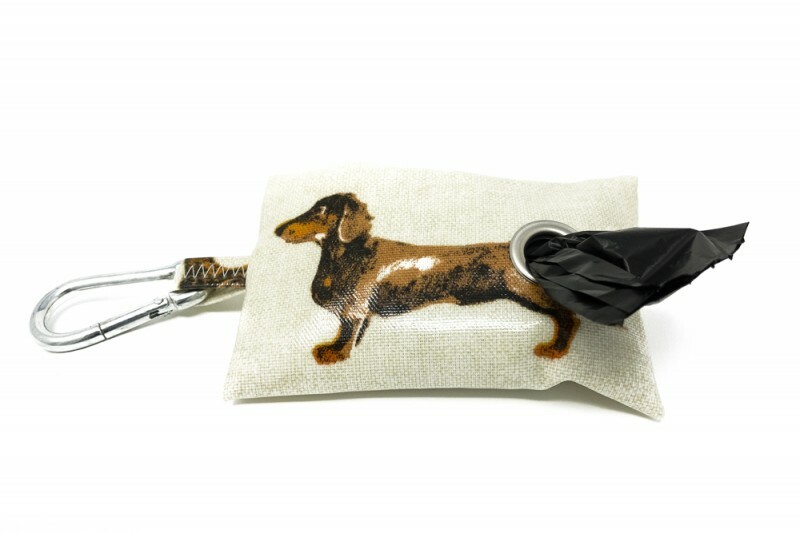 The Cosy Canine Company have the paw'fect solution! 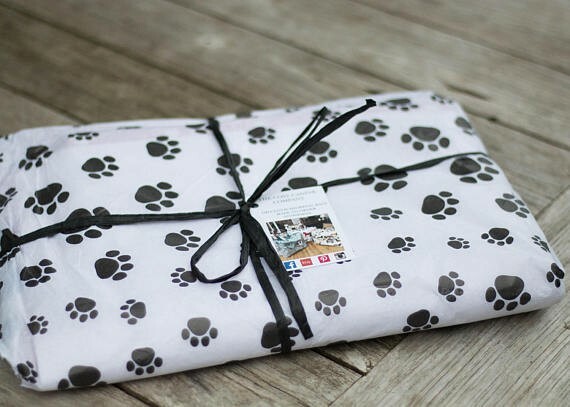 They make crate covers from designer oilcloth which means they are wipe clean, hygienic and will look gorgeous in your home - much nicer than draping old blankets and towels over their crate. 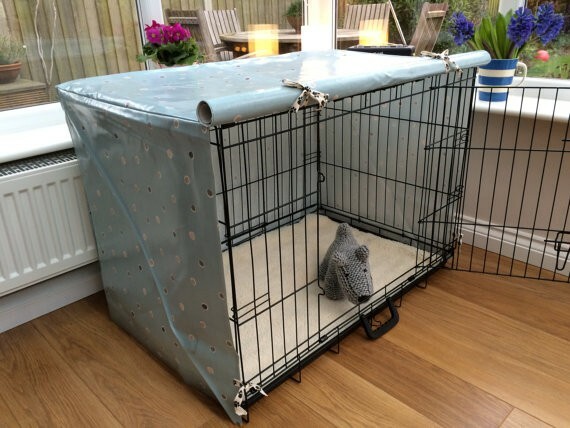 This cover has a drop down door which can be rolled up and secured by day with ribbons or untied at night to create a cosy 'den', this is really useful if your dog is afraid of fireworks or you have a busy household. 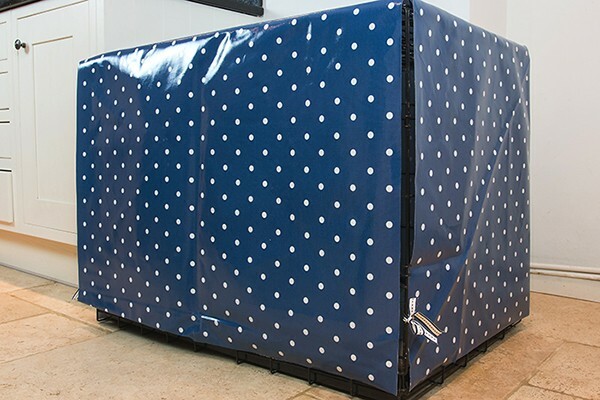 When you are ready to purchase your custom dog crate cover, simply include the exact dimensions of your crate & which side you would like your 'drop down' door when you checkout. 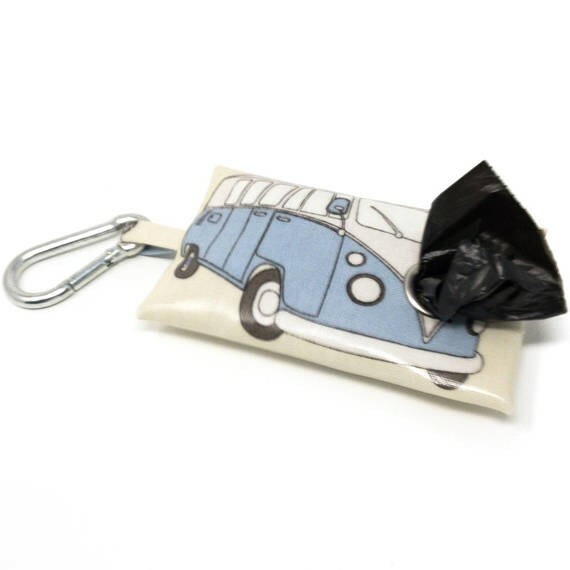 Now you have NO excuse for being caught out without a poo bag! 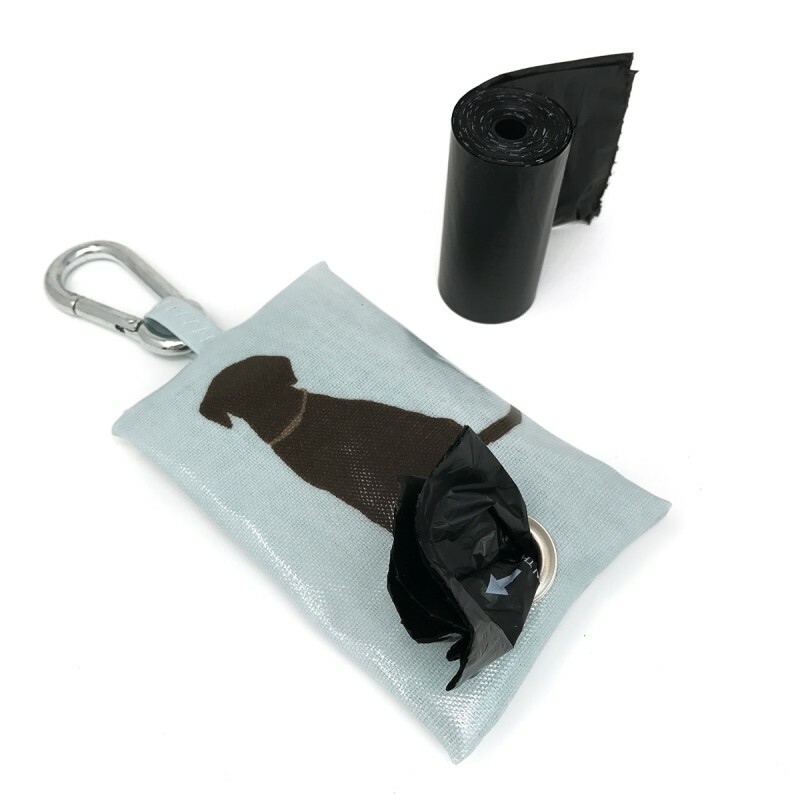 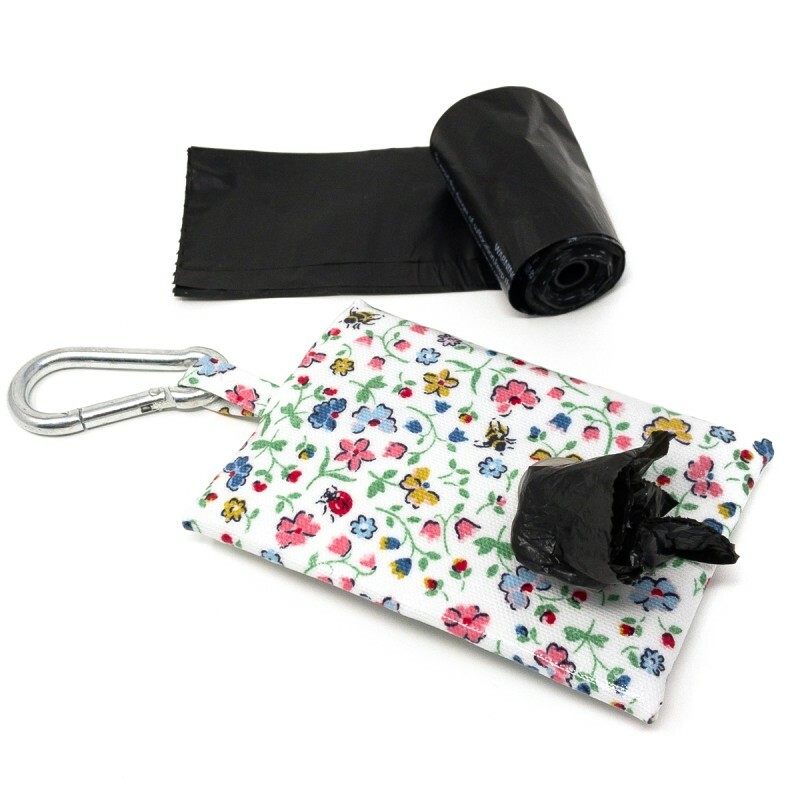 The poo bag holder has a handy carabiner which you can attach to your dog's lead, this means that there is no more rooting around in your pockets for a poo bag when they do their 'business'. 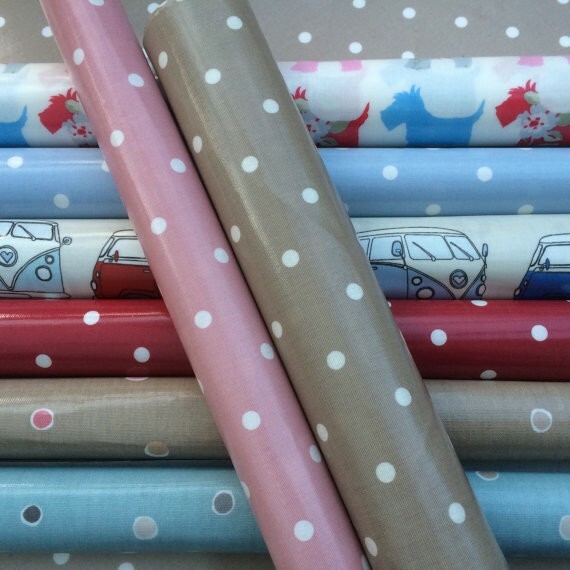 A great range of fabric designs and colours to choose from. 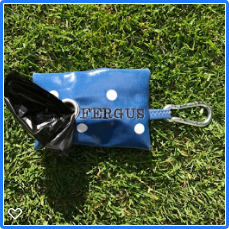 Can be personalised to make the perfect gift for any dog walker or dog owning friend! 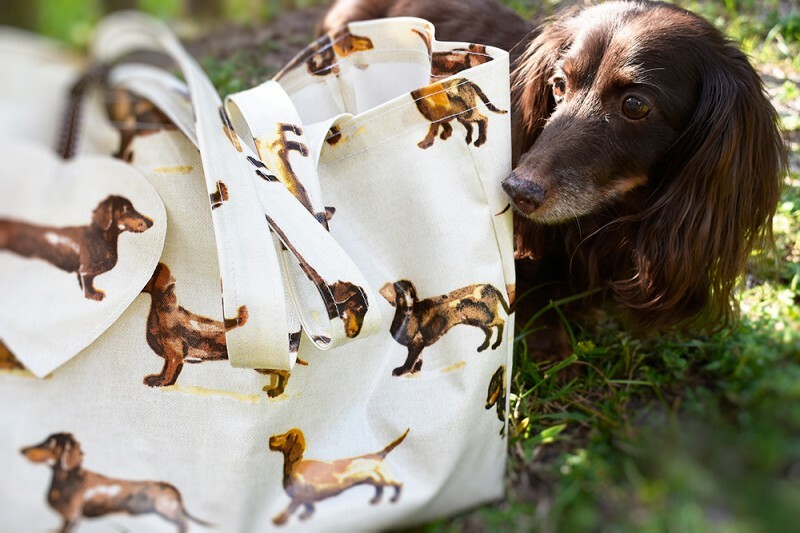 Designed with the dog walker in mind. 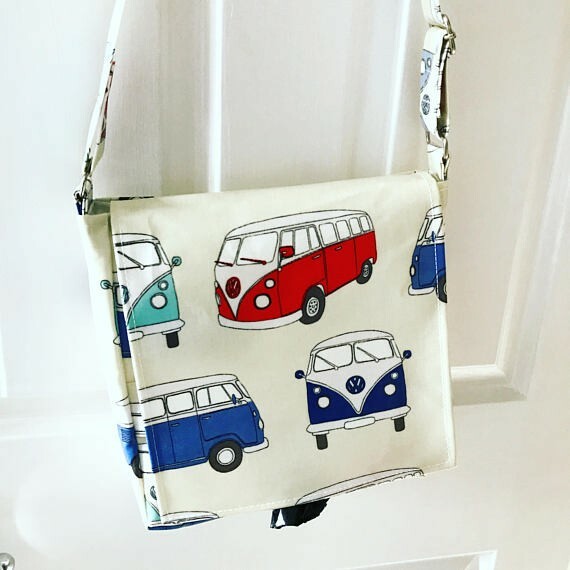 Be walk-ready with this handmade cross body bag. 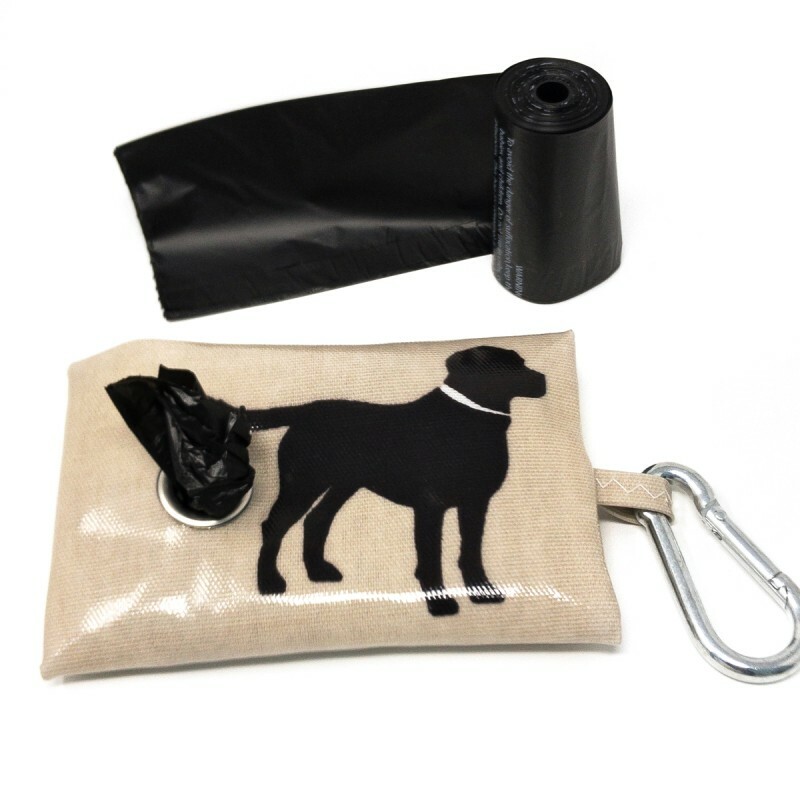 It comes with a built-in dog poop bag dispenser, has waterproof interior pockets for all your essentials, from treats for your canine pal, to water containers for you and him – plus an easy to access pocket for your mobile phone or keys. 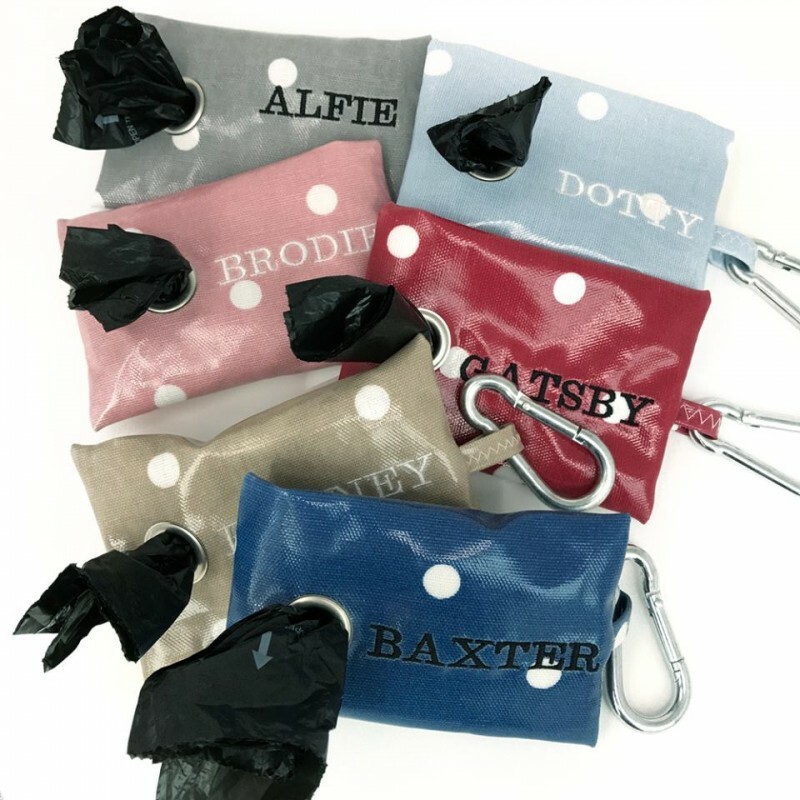 These wipe-clean bags have an adjustable strap and are available in Clarke, Clarke Dotty and Campervan oil cloth so they are as stylish as they are practical. 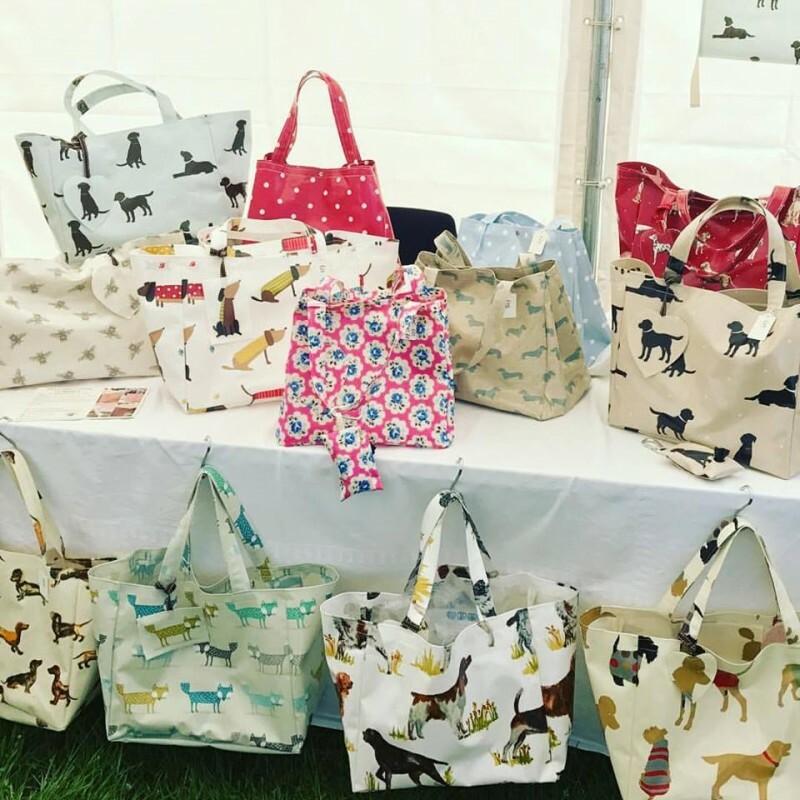 These tote bags are easily wiped clean courtesy of the oil cloth making them equally ideal for heavy groceries or doggie essentials while on the go. 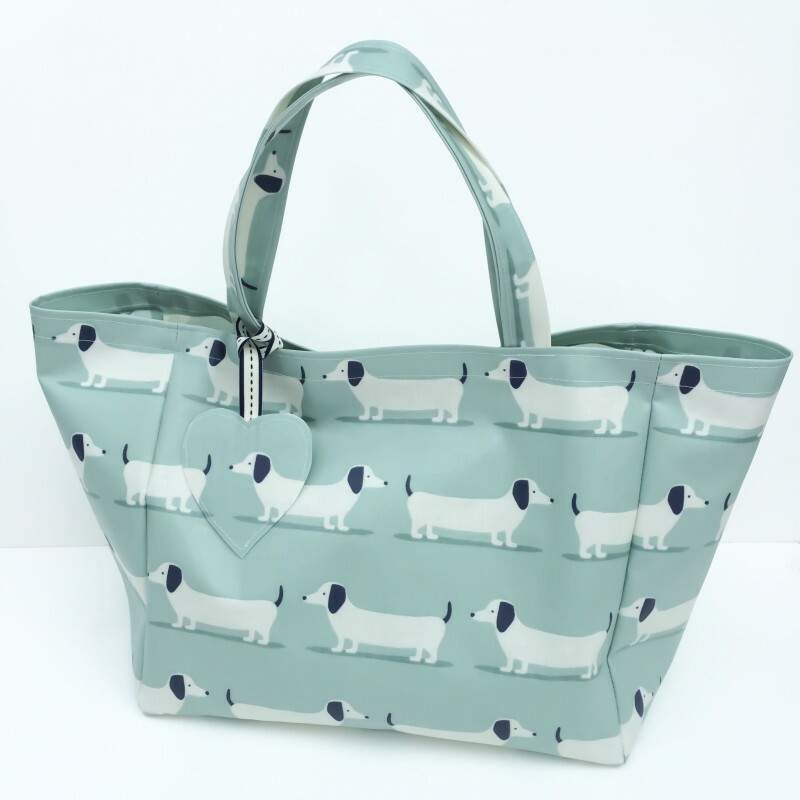 They also stack nicely into a shopping trolley and the handles are comfortable to carry either over your shoulder or in the crook of your arm. 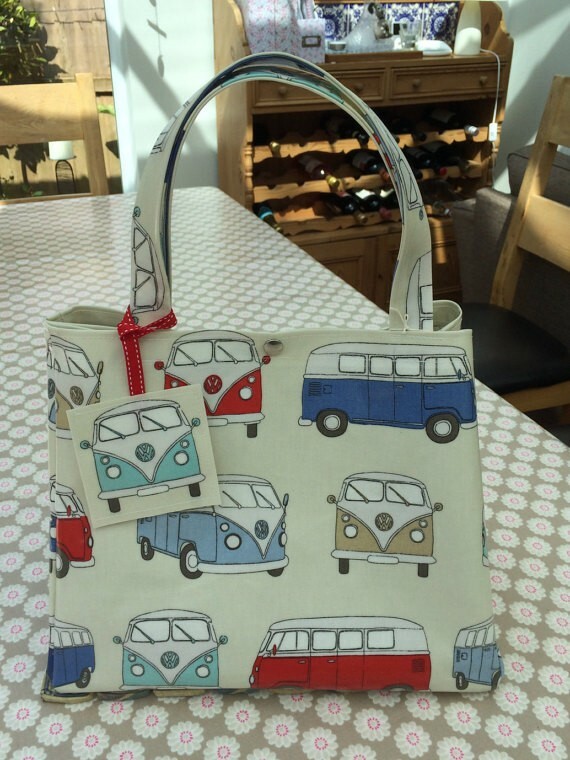 It's happy hub of original designs all handmade by me, Lottie Clements. 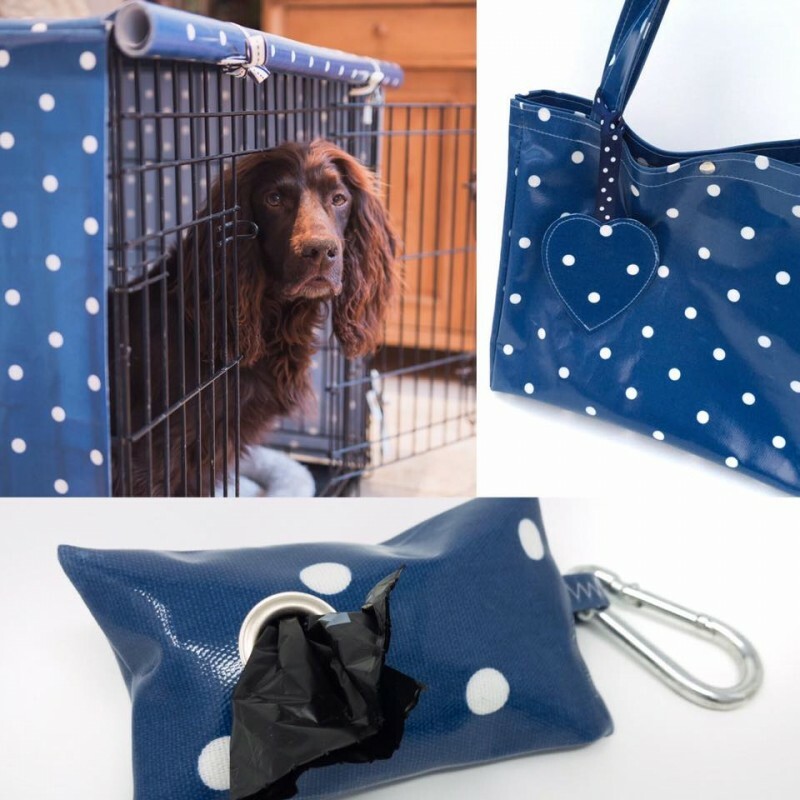 I make dog crate covers, bags and aprons, all from beautiful, high quality oilcloth fabric. 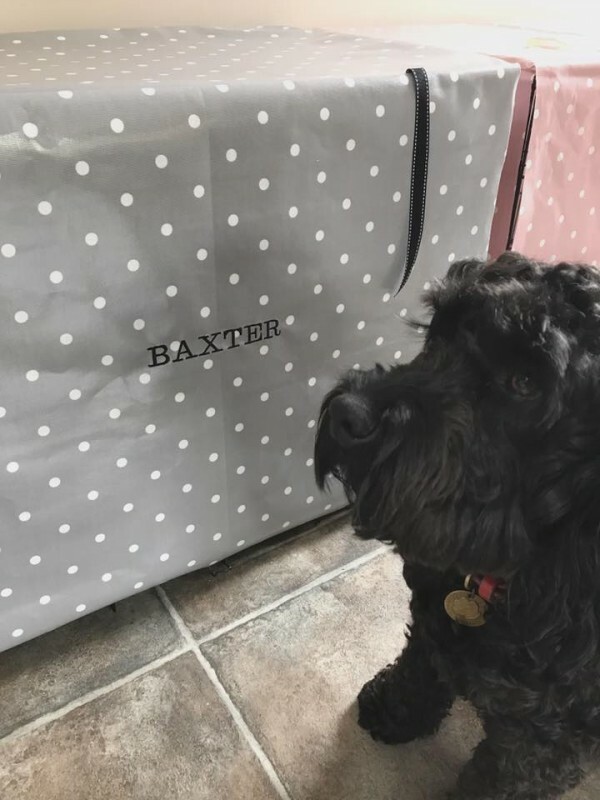 My journey into making started three years ago when my wonderful cockapoo, Baxter, came to live with me. 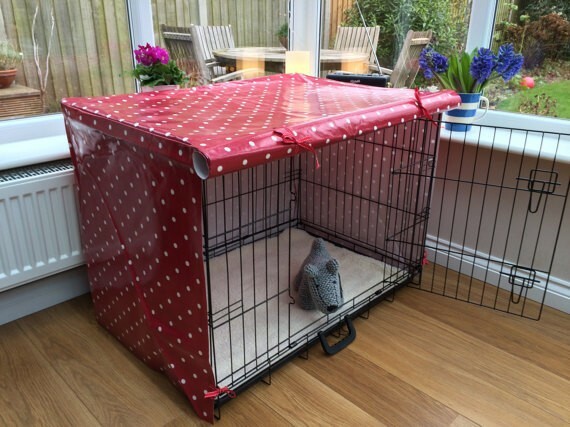 I was a first-time dog owner, and I wanted to do everything properly. 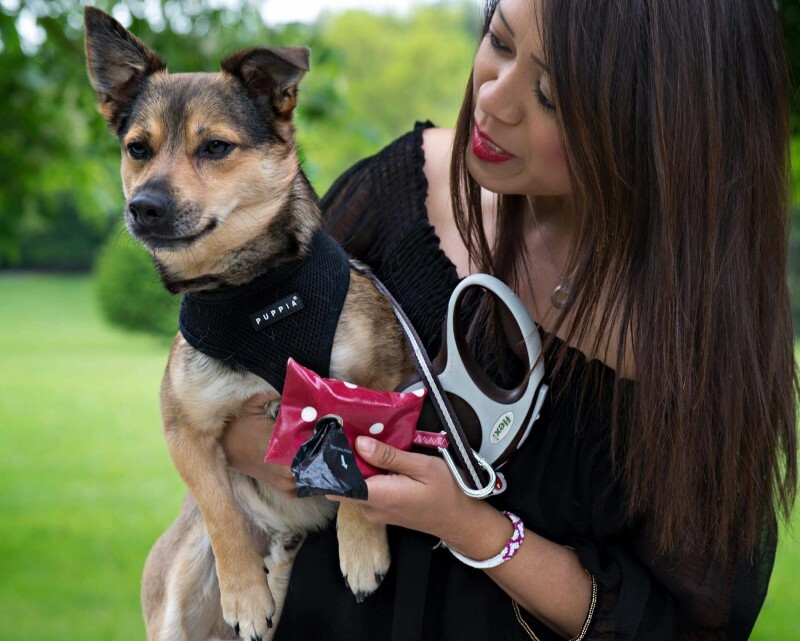 I researched feed, health and training – everything that would make my dog's life a good one. 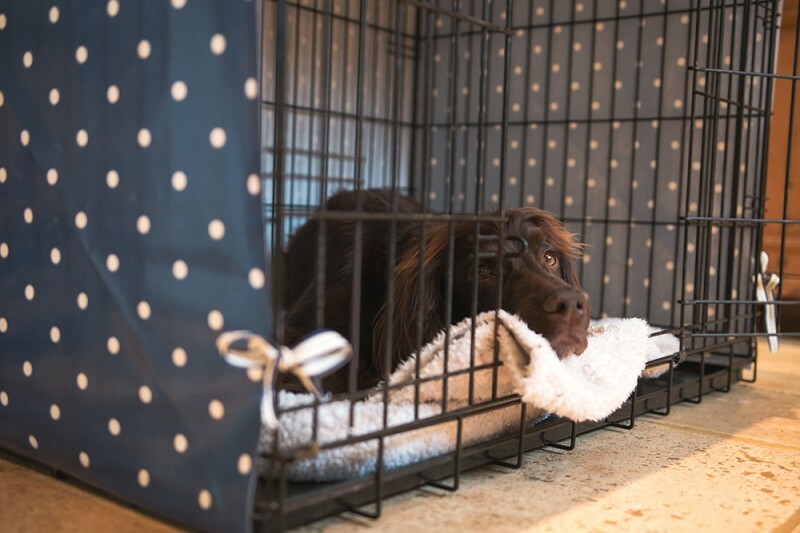 When Bax finally arrived I was completely set up, ready for the new addition to the household... it didn't take me long, however, to realise that the crate I had bought for him to have his quiet space was ugly. 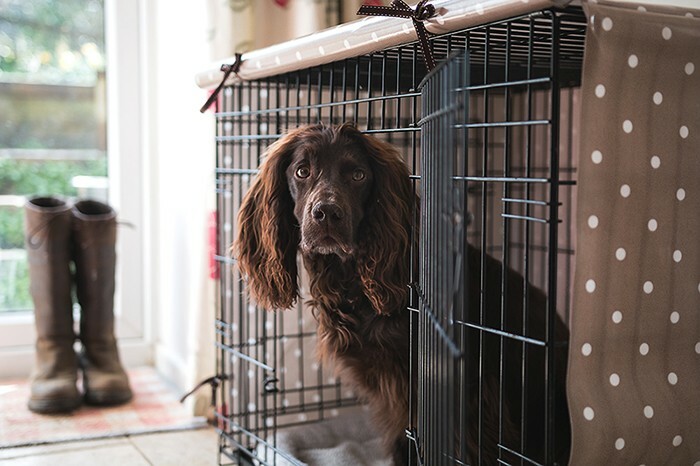 I loved my dog; I hated his 'bedroom'. 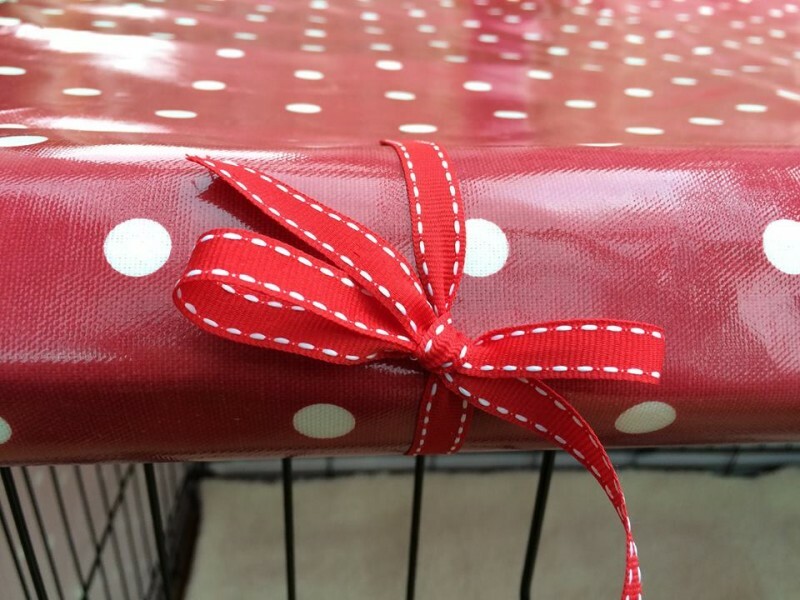 I tried draping pretty fabrics over the metal structure, but they soon got dirty, creased and didn't respond well to their regular jaunts through the washing machine. 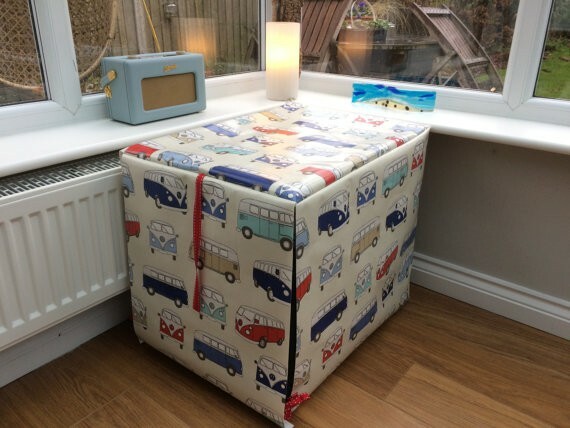 I resorted to old towels: eugggh. 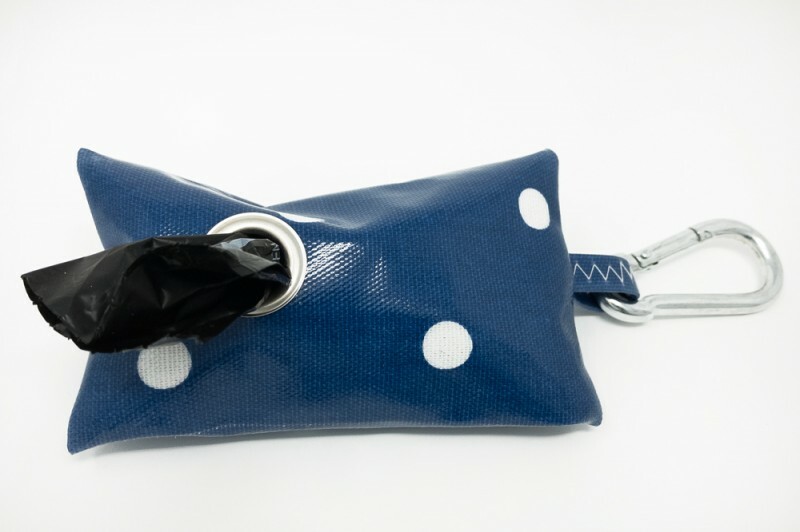 All I wanted was something that looked good, and was durable and easy to keep clean. 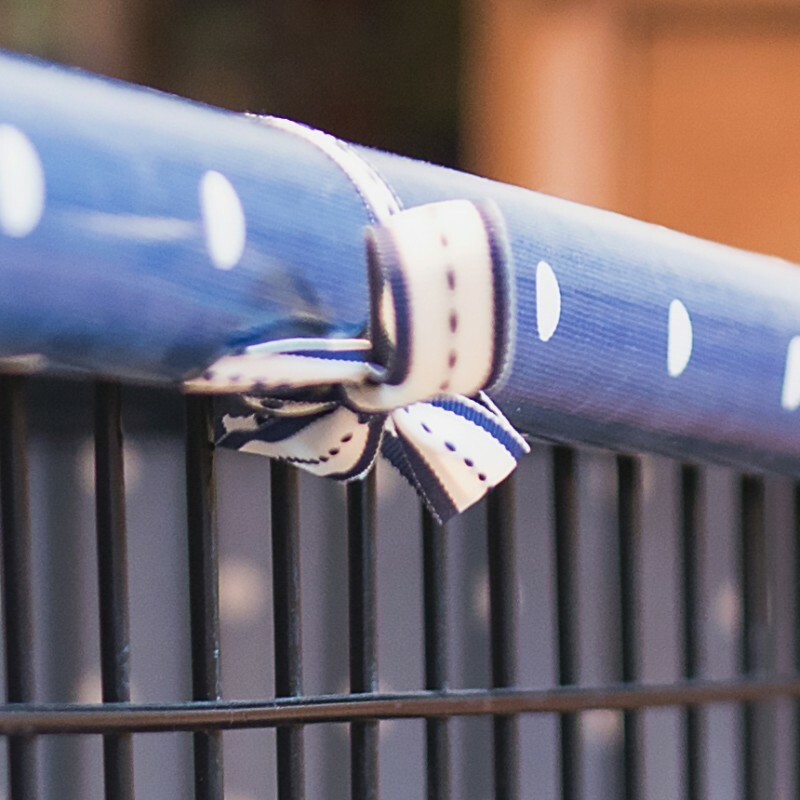 What I wanted and what I could buy were poles apart. 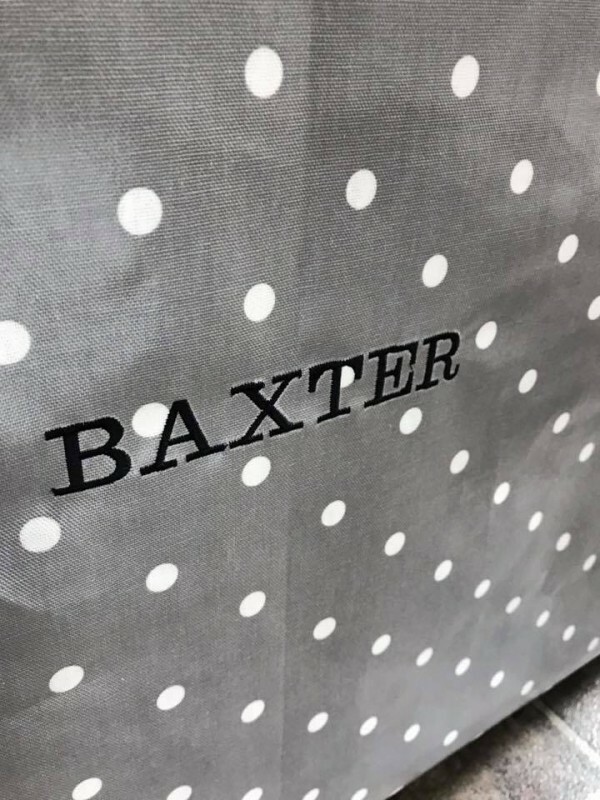 That's when the penny dropped. 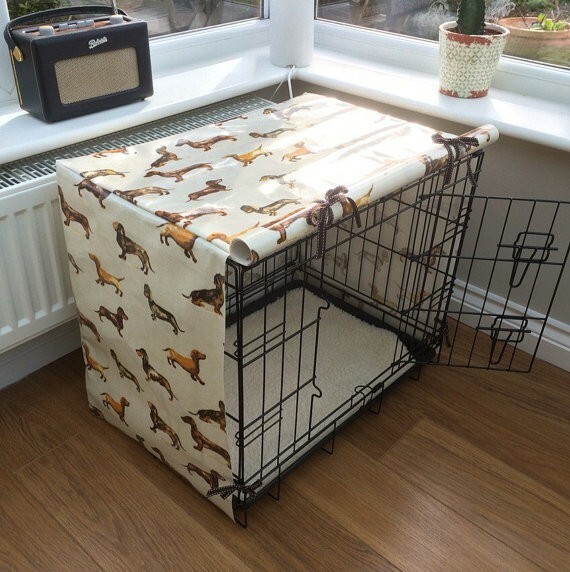 I've always enjoyed being creative (I sew my own clothes and homewares), so I set my mind to what I now wanted: a durable, easy-clean and, importantly, aesthetic crate cover. 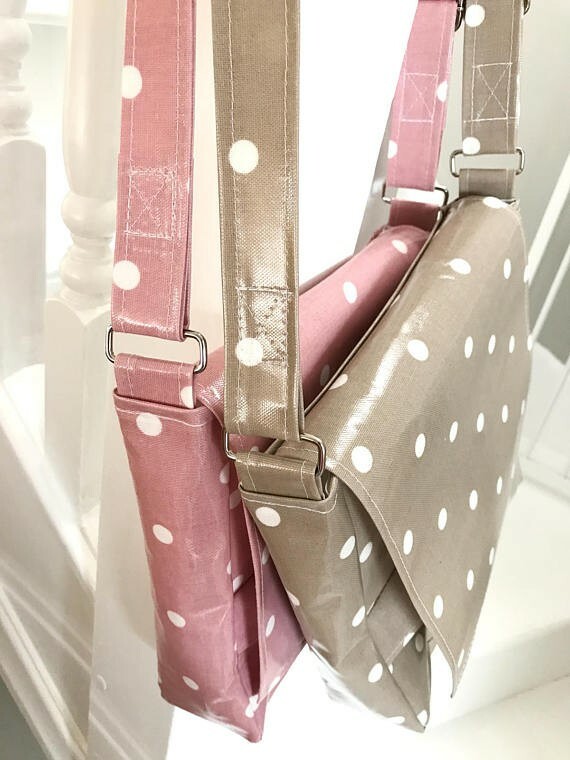 So I stitched one in a glorious polka dot Clarke and Clarke oilcloth fabric, and it looked good... really good! 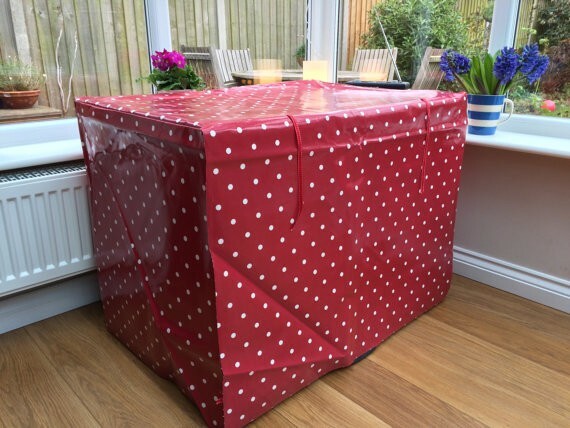 Perfectly fitted, gorgeous and wipe-clean; just what I wanted. 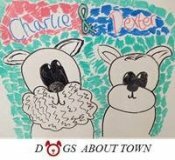 Then I realised that I wasn't alone, and that's how The Cosy Canine Company was born. 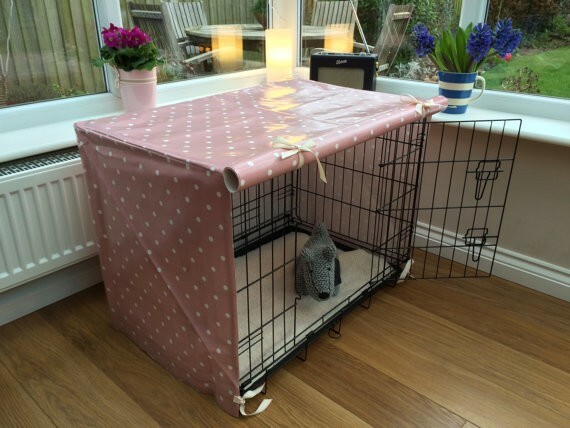 I now spend my time making bespoke crate covers from fabulous Clarke and Clarke and Prestigious oilcloth fabrics. 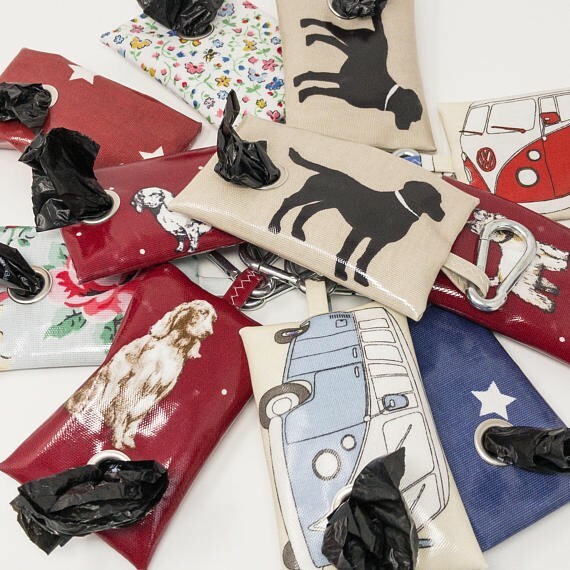 As well as looking great in my home, they (I have two dogs now, and two crate covers) really are durable and a quick wipe over with a damp cloth has them looking good as new – perfect when muddy dogs get back from their walk! 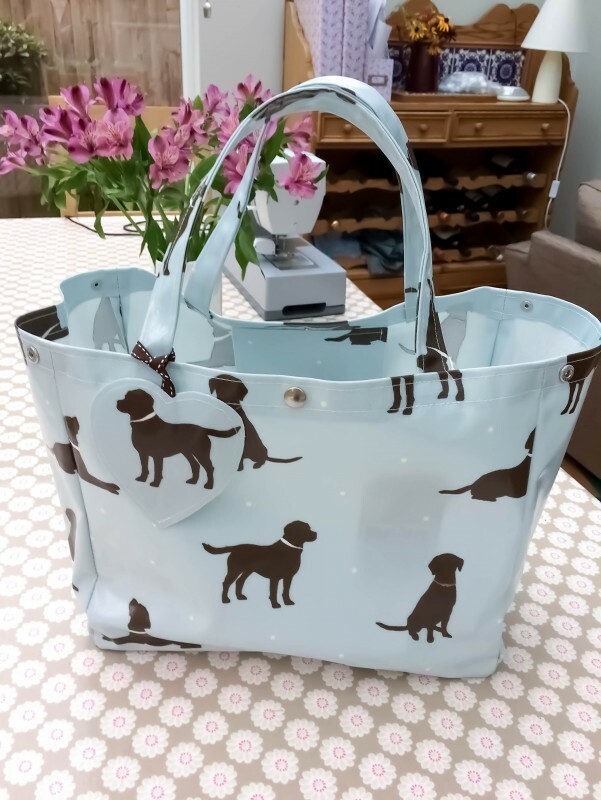 My love of making things continued and I now make Shopping Bags from oilcloth. 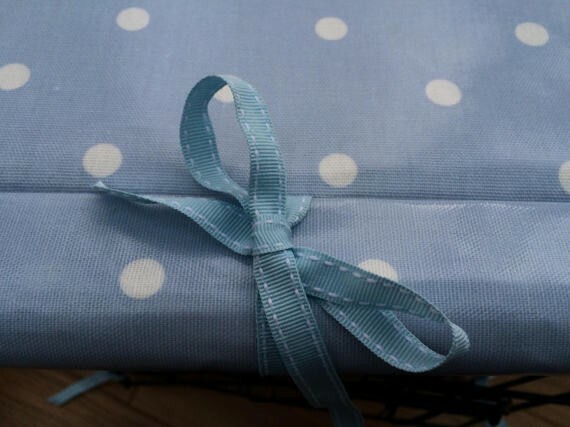 I love making I get excited when a new shipment of oilcloth is delivered. 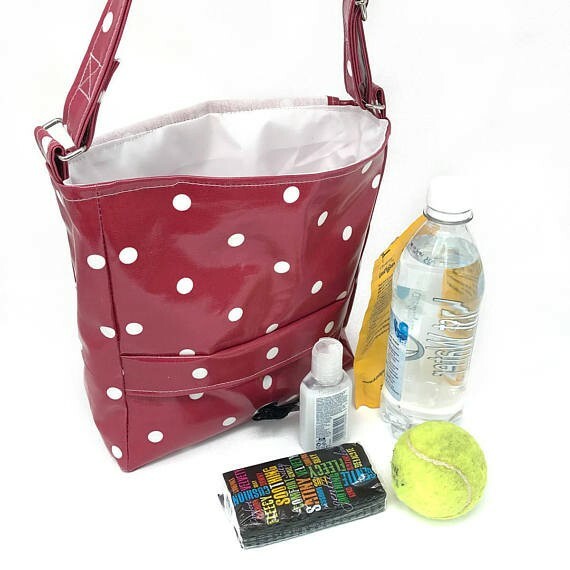 The bags are durable and wipe clean, making them perfect for your weekly shop but also look lovely on a day out at the beach.